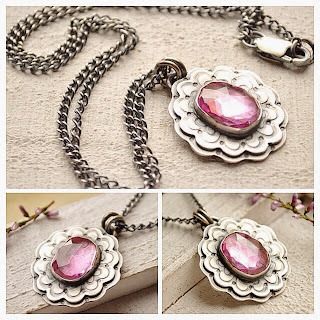 Handmade Pink Patterned Sapphire Pendant Necklace, USD$137 (before discount) from EONDesign! Have always loved creations from EONDesign! This item is currently on SALE (20% Off, Use coupon code FALL14 at checkout).